The theory of initial bipedalism, when the ancestral lineages leading to modern man are concerned, allows us to disregard all the different types of hominin fossils which were previously accepted as the links binding the Homo sapiens to his presumed simian ancestors. These hominin fossils include various species, such as Australopithecus afarensis, A. africanus, A. robustus, A. boisei, Homo habilis and the Pithecanthrops ( these are usually classified under the title of Homo erectus ). We should consider them rather as forms which evolved from our direct ancestry and changed physically in different ways according to their different needs. This accounts for the fact that they were able to survive in remote parts of the globe, until the present time. 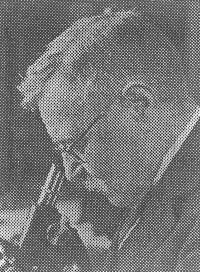 Bernard Heuvelmans, the founder of Cryptozoology ( or science of the hidden animals ) is the world specialist of the problem of relic hominids. In his famous book "L’Homme de Néanderthal est toujours vivant " ( Plon, 1974 ), where he speaks about the discovery of a Neanderthal creature originating probably from Viet-Nam, Bernard Heuvelmans picks up the thread of his master Serge Frechkop and brings the theory of initial bipedalism into line with recent discoveries of modern science by introducing the dual idea of 2 antagonistic tendencies in the evolution of Mammals : cerebralisation on one part, and dehumanization on the other hand. The second factor contributes to the slowing down and to the restriction of the free development of the first one. I would like to express here my gratitude to Bernard Heuvelmans and thank him for providing me with information on initial bipedalism, and for his correspondence and bringing certain litterature to my attention. If man has remained more or less morphologically and anatomically the same through out the course of geologic ages, this may be due to cerebralisation, which is centered in the brain and acts on a cellular level, hence its implication as regards behaviour and mind, whereas the principal evolutive current of dehumanization ( which also affects Homo sapiens ), tends to reduce the human skull and change the shape of the face. Different groups of Hominoids have followed their own evolution progressing parallel to man’s progression and at the same time branching out. Further, the different forms of superior animals have come about as a result of a more ( anatomically ) advanced evolution than man has followed. In every day life, there are indeed numerous occasions for us to confirm the soundness of the theory of initial bipedalism principally by watching the various familiar animals and pets that we come up against. These animals are quadruped by adaptation, they originally belong to our bipedal line of ascent ! In the remain of this exposé we will examen proofs which the author has brought together and which he considers as most significant. The list provided however is far from being complete. phylogenesis ( the history of the evolution of the species ). The reader should keep in mind that the exposé which follows do not constitute in itself a treatise of comparative anatomy of the Vertebrates, but an essay on the morphogenesis of man. All that the author demands is that his thesis be accorded the same credibility as is usually given to other theories, for example that of the simian origins of man which is for the moment surely the most well-known. When we compare the early embryonic stages of different mammals ( even of the other vertebrates ! ), we are amazed to find how much they resemble one another. The German zoologist Ernst Haeckel produced in 1868 a famous illustration of the different embryonic stages of a series of different vertebrates - man, dog, bird and tortoise - side by side. Their rounded heads are extremely large compared with their bodies ; the snout barely emerges from under the cerebral capsule ( 1 ). According to the Dutch biologist Louis Bolk ( 2 ), their growing teeth are set vertically. As Bernard Heuvemans explained ( 3 ), this last point is of the utmost importance because the fact that the growing teeth are set vertically in the jaws ( unquestionably a primitive feature in vertebrates ) is a phenomenon which only occurs in adulthood for humans. During the growth of other mammals the teeth become inclined. In the case of the apes this phenomenon occurs after a certain time, first they must lose their milk-teeth : the final set of teeth cause a lengthening of the snout... This is why an adult ape has a "dog profil" whereas the face of young specimens remains very human-like ! In 1853, the German anatomist Ludwig Fick expressed the idea that the skulls of the Mammals, in their early stages, provide evidence which suggests they are capable of a higher organization than they ever actually achieve when they fully mature... 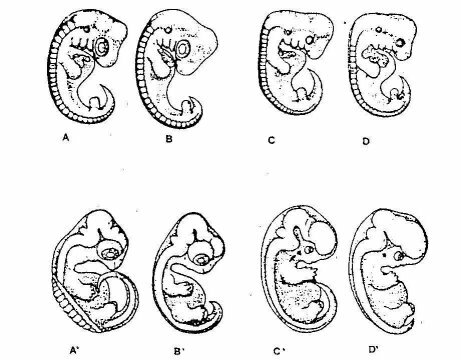 It would seem that at a certain point in their embryogenesis they carried on developping after the point where the human embryo was complete ! In short we must logically start any study of man’s morphogenesis at the very beginning of the vertebrate evolution, and not, as maintened by mainstream Zoology, starting with specialized mammals such as Insectivores or tree-living ones. We must bear in mind that the cerebral hemispheres of the human brain proceed from embryonic vesicles which twist round backwards and upwards. This rotation causes the occipital hole ( foramen magnum ) in the skull to be placed at a lower level. It can be argued that it is on account of the pressingback of the foramen magnum under the skull that man has to stand erect. Indeed, it is this low position of the occipital hole which determines where the spinal column beginns and the way the head is held. And this brings about man’s upright position. In other words, if this bend of the anterior part of the spinal column is the same in all mammal embryos, which is precisely the case, we must refer to an original initial bipedalism for all representatives of this Class ! It is worth noting that the globular form of the embryonic state of the brain controls the flexion forwards of the anterior part of the chorda dorsalis. We must not forget that from an ontogenic point of view the brain precedes the skull. Thus as far as the four-legged mammals are concerned, the base of the skull will form a sort of horizontal deck in relation to the axis of their own bodies and the horizontal plane of the ground on which the animal is moving. In consequence the position of the foramen magnum at the back of the skull is raised, otherwise the animal would not be able to see where he was going ! This feature is evidently a side issue : thus quadrupedal mammals derived from bipedal ancestors and started evolving from them, as their ontogenesis clearly shows us. 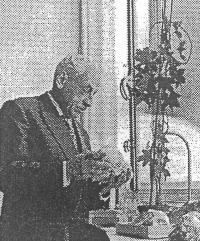 Before beginning a detailed study of the human body, its organs and anatomical particularities in the light of the initial bipedalism theory it would be wise to re-examine certain facts concerning the growth of man and other primates, paying special attention to the work of Adolph M. Schultz. In 1926 this American primatologist made some very interesting discoveries in this field. They concern the different relations between head, trunk and members during the growth of man and several apes, from the foetus stage right through until maturity. The changes in body proportion are clearly illustrated in the diagram below. Professor Max Westenhöfer claimed that if we don’t hold any pre-formed opinion, this diagram is sufficient proof to make us abandon all ideas of a simian ancestry to man. of gibbon, orang, chimpanzee, gorilla and man. It seems clear throughout this exposé that in the case of the apes the development of their fore extremities occurred as a result of a specialization to life in the trees, whereas in man the connection with his initial proportion has remained much the same. At the early stages of their foetal life, man and apes show a striking likeness. They both have proportionnately huge heads, short limbs with hands and feet resembling paddles. The purpose of this science is to compare a same organ or a same anatomical fitness among a series of forms belonging to one phylum, either in the aim of classification, or with the view to determine the probable evolution of this anatomical type throughout the history of the species under observation. We shall make a further study of the skull and the brain, we shall consider the teeth and the pharynx and look again at the problem of man’s hands and feet. Our conclusions will not be the same as those of the classical evolution theory which tends, against all evidence, that the human form is derived from a stage of a tree-living quadrupedal simian. From an embryological point of view the brain comes before the skull. That is what makes it is very unlikely that the "big head" of the Homo sapiens is a result of the swelling process of an australopithecian brain ! The latter has a reciding chin an a reduced back-skull and also super-structures of bones such as the sus-orbitary torus and the median crest - features which have been developed for a specific need. It seems highly improbable that man went from such a skull structure ! Nevertheless mainstream anthropologists still persist in their beliefs which are now more than a hundred years old. Even more important is the fact that the base of the australopithecian skull is flat, whereas man’s one, as we have seen above, is curved. We will go into this point in more detail later when we come to discuss the pharynx and articulate language. I developed at great length in my preceding articles ( 4 ) the theory that man’s large and globular brain existed very early on and this fact represented the final evolution of a marine animalcule’s floating and sustenance organ. Between this ectodermal bag on the top of the body and the outer skin a strengthening mesodermal membran developed. And it was this which shaped the form of the brain-pan and the whole skull. 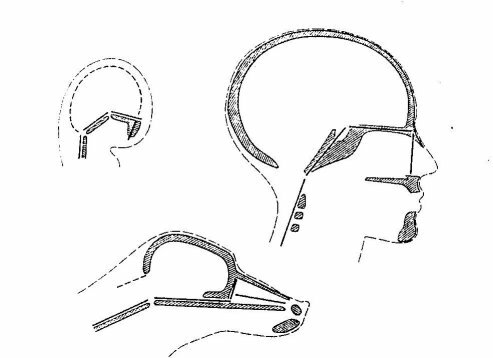 We have seen that the embryonic chorda dorsalis advanced into the osseous base of the skull, and induced the primitive bending and the lower position of the foramen magnum. But man is not determined by merely a big brain and bipedal habits. Articulate language is also needed to express human thinking. We shall see that the two questions are closely linked. Ancient theories on the origin of the spoken language are often exclusively based on the development of the central nervous system, without giving any consideration to the need for a sufficient bucca-phonetic apparatus. On the endocranial casts of fossil Homo many discoveries have been made of the small protuberance on the cortex which is clear proof of a functional Broca’s area. This forms man’s motorial language zone and synchronizes the actions of the muscles concerned. This is an embarrassing discovery, indeed, because anthropologists are now of one mind in stating that even Homo erectus, whose larynx was set at the level of the 4th cervical vertebra, was not capable of using a real articulate language. And yet, on the castings, the Broca’s area is well developed and clearly visible. Doesn’t this provide us with sufficient proof that the hominins of the type H. erectus or H. habilis descend from an original lineage Homo spec. ? This latter possessed a large brain ; likewise he had a round skull, a perfect bipedal stride and a vocal apparatus that allowed him to use an articulate form of language ! In the apes’ encephalon there is also a language area which shows the same histological structure as ours ; however, they don’t make use of it... Indeed, why is it that apes and different hominins are not able to speak despite the fact that the language areas in their brains have remained well developed ? We will be helped in this matter by the research work of Jeffroy T. Laitman ( 5 ). He made a specialized study of the larynx which by its "high" or "low" position determines the volume and properties of the pharynx. When there is only a small pharyngeal space, as it is the case among apes, the sounds that are produced by the vocal chords in the larynx cannot be greatly modulated. What then determines the high or low position of the larynx ? Purely and simply the degree to which the base of the skull can be tilted... Once again we come across this very important anatomical feature. Indeed if the angle formed by the base of the skull tends to become flat, as we find in non- sapiens hominins - as a result of their reduced brain-pan and the prominence of their face - it is obvious that the larynx in accordance with this movement is situated in a higher postion ( for instance opposite the 3 first cervical vertebras ). By contrast in adult man we find the larynx at the level of the 6th or 7th cervical vertebra. Hence man is able to form articulate language because he employs the pharynx to its full capacity with complete co-ordination of the movements of the tongue, the glottis, the jaws and the lips. In comparison with the teeth of other mammals, the regular disposition of human teeth, vertically planted in semi-circular jaws, is particularly striking. If we believe all the usual theories on primate evolution, they would have us believe that man developed from Insectivores with longitudinal and almost parallel rows of incisors, we should then admit that the individual evolution of Mammals is no longer connected with ontogenetic development, but contradicts all these facts ! When we look at all these jaws we may well wonder firstly how an animal snout has grown shorter to form a human face, and secondly how such a harmonious arrangement of the human teeth in a half-circle could possibly have developed monkey-like man’s antecedents ? To understand this we have to take into account the concept that the mammal skull was round in form from the very beginning ! This is closely linked to bipedalism and upright standing : thus such a shape could only develop naturally at the top of a spinal column that was completely upright - just like the flower at the top of its stem. As Dr. Bernard Heuvelmans wrote to me some years ago, it follows on from this idea of the roundness of the skull that as far the dental arch is concerned the must primitive shape is the circle and not the V shape that we find in Insectovores and other quadrupedal Mammals ! The development of the teeth occurred later on in relation to this dental arch in a shape of a semi-circle. In the beginning all the teeth must have been similar and no doubt hemispheric. Then they became more square ( molars ), more spatulate ( incisors ) or more sharp pointed ( canines ). So we can see that the animal head is a deformation of a primitive type of human head, with the appearance of very differently shaped teeth in the jaws in accordance with the different alimentary specializations and also the further evolution of the skull. For more information on this subject the interested reader can refer to the works of Serge Frechkop on the evolution of the dentition of the Primates ( 6 ). People have always praised the human hand as a marvelous development of Nature while considering it as having been formed, evolutionally speaking, from an animal extremity - paw or claw, etc... Was this really so ? Man’s thumb is well developed, relatively long and in opposition with the other fingers. This is an essential factor because it permits the hand to perform fine and delicate movements. The thumb of non-human primates is short, often emaciated or missing entirely, for the hand serves as a "sustenance hook" with the other four fingers curved inside towards the palm. In other quadrupedal mammals, the hand is used more and more as a new support for locomotion. As Serge Frechkop brought to our attention the use of the hand as a support organ seems to be more recent than the analogous use of the foot : in the case of ungulates ( hoofed animals ), for instance, the lost of marginal toes in the course of evolution precedes the loss of marginal fingers ( 7 ). Only man’s hand preserves all the proportions of the primitive anatomical form, derived from the natatory paddle of the marine animalcule which is at the origin of the whole phylum of the Vertebrates ! This creature had five fingers too with the median also the longest, when it once settled on land. This is of course logical for the anterior extremity of a creature that has been a biped since the beginning and whose hand has never been burdened with any locomotion function ! Before ending this study on the hand let us look at the case of "Lucy". The skeleton of this female Australopithecian has provided the subject matter for many reports. It reveals human- like fingers. According to her discoverer, Donald Johanson, the muscles situated at the base of the thumb were rather small ( 8 ). This signifies that "Lucy" in spite of her facies of a circus chimpanzee, was able to seize very tiny objects between thumb and forefinger, with extreme accuracy. On the contrary, she was less adept of grasping them by sheer force : an attribute we might surely have expected of her. The good condition of the fossil authenticates this astonishing fact, when considering Australopithecians are half-way between apes and man, in evolution "towards the latter" ! This all becomes marvellously clear if we examine it under the light of the initial bipedalism theory : Australopithecians are rather "pre-pongids", and have evolved to a stage of development linking with actual apes. It is a typical human feature, and man is the only full bipedal plantigrade repertoried by Zoology. This is what makes our lower extremity so original. 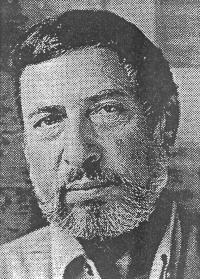 The French prehistorian André Leroi-Gourhan said : "Humanization began with the foot". Other bipedal and plantigrade Hominids may still exist, but they are unknown to official science. At any rate they existed in the past ( Pithecanthrops, Neanderthals ). The classical problem is to decide whether the human foot is a posterior ape’s hand which has been transformed and adapted to a permanently erect position, or whether it is a primitive stage in the Primates’ evolution, in this case the inferior extremity of apes and monkeys would be a human foot which has been adapted to prehension and to life in high trees. First of all, we have to admit, in spite of the opinions of many anthropologists, that the human foot which is a complex locomotion organ appears really much too specialized to have derived in the interval of a few million years from the prehensile foot of a tree living ape, similar to that of the anthropoids of the present time. On the other side we must remember that although the foot of non-human primates is prehensile like a hand, it is so to a lesser degree ; for example the mountain gorilla has one big toe that weakly diverges from other toes. Everything leads us to believe that the prehensile simian foot is phylogenetically more recent than man’s foot ! In the early stages of Mammal’s embryogenesis, the foot looks like a hand, or rather like the natatory paddle of the marine animalcule from which we all descend. This surely has nothing to do with the lower "hand" of a tree-living ape or monkey. The main morphological features of man’s foot still exist in the foetus, and are therefore of ancient acquisition. Working from the likeness between apes and man most of the modern naturalists were led to the assumption that, in the course of evolution that gave birth to the human species, there was a stage of simian anthropoid preceding the definitive stadium. An objective study of man’s foot makes nonsense of such an assertion. The posterior extremity of tree-living primates ( starting from the plantigrade foot of the human type ) evolved towards a structure where the big toe was separated from the other toes, then towards a form more adapted for holding things, with an opposable big toe which had also become smaller. As Serge Frechkop ( 9 ) remarked the position of the big toe opposite the other toes entailed its own disappearance ! On the contrary the big toe in man’s foot got bigger, obviously as a result of the bipedal walk, and this ever since the origin of our lineage. What are we to think of the australopithecian’s foot ? The groups of animals known by science are usually considered by evolutionists to be descended from more simple forms. Man, in the role of his own classifier, has set himself at the summit of the hierarchy. 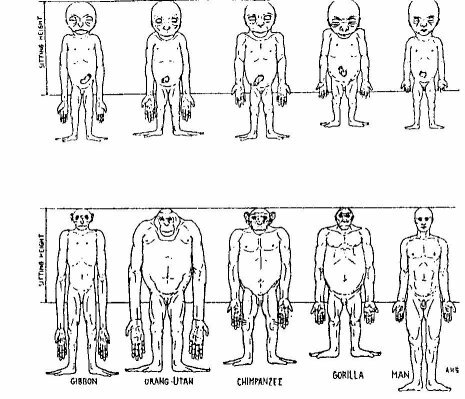 The animals closest to him morphologically speaking appear as the different stages through which humans "passed" to reach their present stage. This accounts for the fact that the majority of actual scientists, contrary to all proven evidence, believe that man developed from a big anthropoid of the Miocene forests. Fable and hoax start from the moment when they have to explain how such an ape could have straightered its hind legs, how it acquired a large brain and a skull shaped consequently. I will not return for the moment to the whole of my theory on the evolution of the Vertebrates ( archepagoge-type, as the earliest water dwelling pre-hominid, then phytophore-type as the first land living Vertebrate, from which all others involved ), apart from a particular point concerning the early development in man and other vertebrates of a nervous system in comparison to the brain, or rather the early development of a peripheral nervous system ( nerves and spinal chord ) before that of the central nervous system ( brain and other connections ). Man’s globular brain, which in fact caused the shape of the human skull, is a recent organ in phylogeny ( all this is relative because we are talking of "classical" 500 hundred million years ago ! ), an organ which developed from the sustentation float of a marine animalcule. If we accept this theory we must assume that the creature in question already had a functional nervous system before the development of what eventually became its brain, in the upper part of the body. The theory which I propose logically shows that it is man who has remained morphologically and anatomically the nearest in relation to the original type of vertebrate from which all others descend. And so it is in the human form that we will find the best "clues" to an ancient nervous system - a system which is no doubt still functionning but not implicitly connected to the brain, rather to the spinal chord and other different points in our bodies ! This brought me to think of the meridian lines, as described in acupuncture. then there are other nervous fibres which are bigger but not so numerous, these come to an end within the spinal chord. In case of intensive stimulation or direct action by acupuncture these nervous fibres can block the path of the normal nervous impulse which is conveyed by the smaller fibres. This phenomenon is easy to see in the case of too strong a physical pain. It would seem as though these big fibres and the acupuncture meridians ( the courses of which we still have not yet been able to establish by histological cuttings ) represent all that remains of a former nervous system belonging to the acephalic pre-Vertebrate : a nervous system which preceded the brain ! WESTENHÖFER Max : Le problème de la genèse de l’Homme ( condensé et annoté par Serge Frechkop ) - Ed. Sobeli, Bruxelles, 1953. BOLK Louis : Das Problem der Menschwerdung - Jena, 1926. HEUVELMANS Bernard : L’Homme doit-il être considéré comme le moins spécialisé des Mammifères ? - Sciences et Avenir n°85 ( 3 ), 1954. Le Clin d’Oeil n°18, Nice, août 1987. LAITMAN Jeffrey : L’origine du langage articulé - La Recherche n°181, octobre 1986. FRECHKOP Serge : Considérations préliminaires sur l’évolution de la dentition des Primates - Bull.Mus.R.Hist.Nat.Belg., t. XVI, Bruxelles, 1940. Bull.Mus.R.Hist.Nat.Belg., t. XIII, Bruxelles, 1937. JOHANSON D. & E. MAITLAND : Lucy, the Beginning of Humankind - Simon & Schuster ed., NY, 1981. Mém.Mus.R.Hist.Nat.Belg, 2° série, III, Bruxelles, 1937. Nature n°619, 21 mai 1987. Photo prise en 1902 ou 1903 lors de la prise de fonction de Johannes Orth, successeur de Rudolf Virchow à l’Université de Berlin. 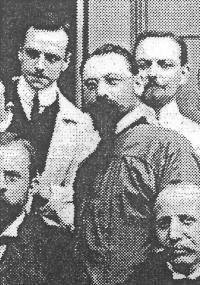 Je remercie ici le Dr. Peter Krietzsch, Conservateur à l’Institut de Pathologie de Berlin ( Rudolf-Virchow-Haus ) et le Dr. D. Wagner de l’Institut de l’Histoire de la Médecine, Humbold-Universität à Berlin, de m’avoir fait parvenir ce cliché. Photo de B. Heuvelmans, reproduite avec l’autorisation de ce dernier. Reproduite avec l’autorisation du professeur G.K. Kloosterman, son élève, qui m’a fait gracieusement parvenir ce cliché. Cliché confié par lui-même, avec mes plus vifs remerciements.